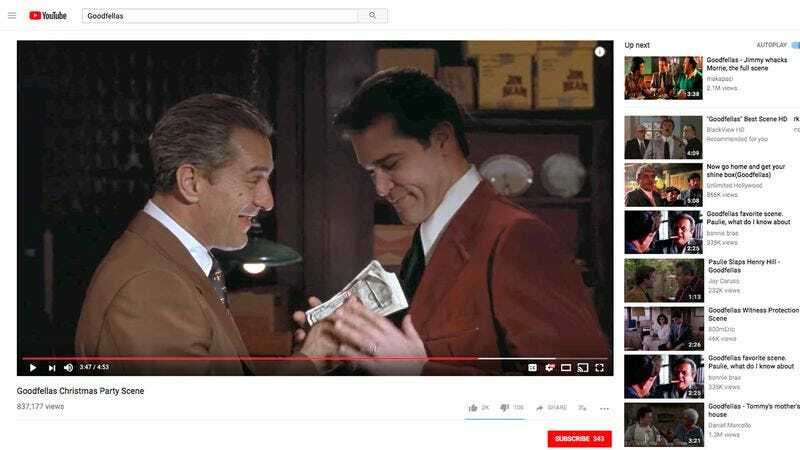 LOS ANGELES—Saying there were too many similarities for it to be mere coincidence, historians from the University of Southern California suggested on Thursday that each of the Goodfellas clips on YouTube might be fragments of a larger artistic work. “After analyzing more than 400 separate videos, I believe there is strong evidence linking the characters, settings, and dialogue to a broader narrative, possibly related to organized crime in the middle-to-late 20th century,” said USC film history professor Patrick Carnevale, theorizing that the teenage Henry Hill character who did small jobs for the neighborhood wiseguys and the adult Henry Hill who set up the Lufthansa heist were, in fact, one and the same. “For instance, we originally thought a four-minute clip of Tommy getting insulted by Billy Batts in a Queens bar and later participating in his murder was its own distinct masterpiece, but when we looked at it in the broader context of clips featuring the disposal of Billy’s body in upstate New York, we realized it could in fact be part of a larger narrative tapestry. Then we discovered a clip with some of the very same men sharing a spaghetti dinner in a luxurious prison cell, which was perhaps the best evidence to date that these were no isolated sequences, but components in what could quite possibly be a feature-length film.” Carnevale went on to say that despite the many clear connections among Goodfellas YouTube clips, no direct associations were as yet found between them and the Matrix recommendations in the sidebar.